Tourism Observer: SOUTH KOREA: Woman Causes Disturbance on Plane, Yelling, Korean Air Stole My Passport. SOUTH KOREA: Woman Causes Disturbance on Plane, Yelling, Korean Air Stole My Passport. An American woman was dragged off a Korean Air flight at Incheon Airport outside of Seoul, South Korea last week after she commandeered a business class seat and proceed to go on an incoherent rant. The incident on board Korean Air Flight 25 took place on July 27 which caused the flight to San Francisco to be delayed an hour and 44 minutes . The woman, who originally booked an economy seat, sat down in the business class seating instead. The woman refused to move and caused a disturbance when the flight attendant told her, You have to sit in your designated seat. 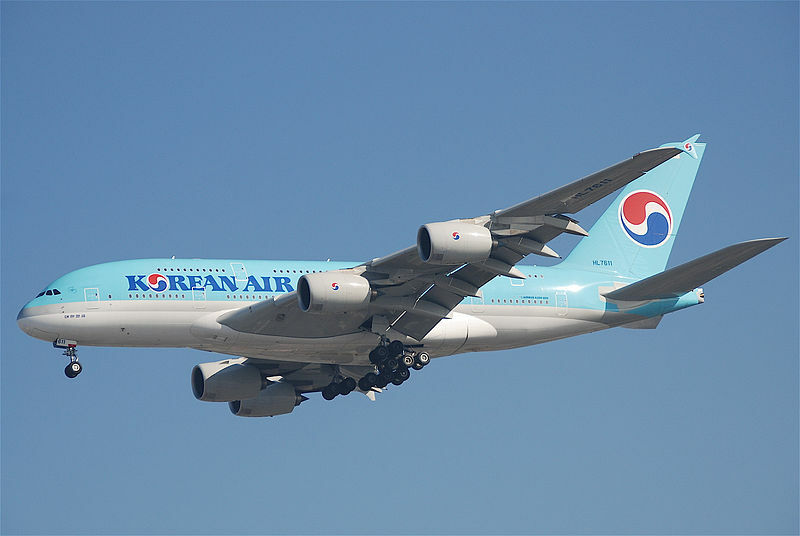 Korean Air said that, Airport police took a female passenger off a Korean Air flight from Seoul to San Francisco because she would not take her assigned seat and this presented a safety issue. All passengers must be seated in their assigned seats prior to take off. When asked to take her assigned seat she refused and airport police came and took her off the flight. The incident was captured in a cell-phone video that was posted on the Korea JoonAng Daily YouTube page. It opens with a collection of Korean Air flight attendants surrounding the woman in her seat. The six flight attendant's faces are pixelated so one cannot see their facial expressions. In the video, the woman can be heard screaming, U.S. Marshals! as the flight attendants approach her. The woman appears to place her passport in her mouth while the flight attendants are unbuckling her from her seat and pulling her up on her feet. A smattering of claps can be heard from other passengers as the woman is pushed by flight attendants down the aisle and off the plane. She then abruptly collapses to the ground and begins yelling, Korean Air stole my passport! as she is pulled down the aisle, amid multiple cries and yells. Once the flight attendants load her onto a restraining wheelchair, the woman looks up at the person filming the incident and chants, DDoS Korean Air! DDos Korean Air? Nuclear disarmament! DDoS stands for distributed denial of service. It's a cyber attack that can shut down a website or server by overwhelming it with traffic. Then she looks directly into the camera and says, Meanwhile at SpaceX, as she is lifted in her wheelchair and brought off the plane as she shouts, I love you! Airline police said, The woman was transferred to the hospital first as she seemed to be suffering from a mental illness. We plan to investigate her as soon as the hospital completes her examination.